From railroad towns like Ladore to cow tons like Newton and Wichita, southeast Kansas pulsed with rowdy activity during the late nineteenth century. The unruly atmosphere drew outlaws, including the Dalton Gang, and even crazed serial killers the likes of the Bender clan. Violent incidents, from gunfights to lynchings, punctuated the region's Wild West era, and the allure of the frontier also attracted everyday people whose passions sometimes spawned bloodshed as well. 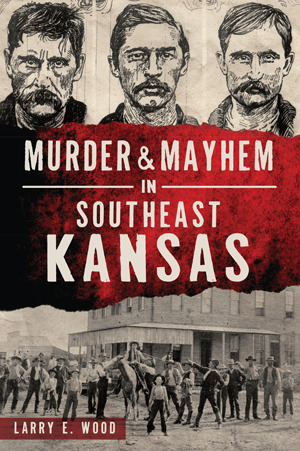 Award-winning author Larry E. Wood explores thirteen of these remarkable episodes in the criminal history of southeast Kansas.